It’s that time of year – the days grow shorter, the weather grows colder and our dearly (and not-so-dearly) departed rise again for their unwelcome annual visit. If you’re brave or foolish enough to say hello to them, head out to one of these haunted houses and trails throughout San Diego county. Just keep telling yourself it’s just a hay ride, it’s just a hayride…or is it? 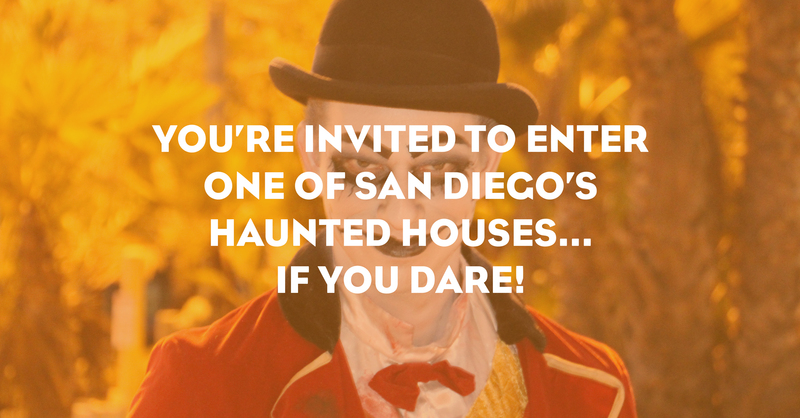 Get ready for three horrifying experiences at San Diego County’s largest haunted attraction. The Scream Zone features the House of Horror with rooms filled with terrifying scenes and scares lurking at every turn, take the Haunted Hayride through the haunted barns on the Del Mar racetrack and walk through The Chamber with the largest spinning tunnel in San Diego. New this year is the Zombie Paintball Safari…test your aim under pressure! Other features this year include: The Dusk Till Dawn Bar, The Walking Dead Prison, The Exorcist, and look for Pennywise the clown. Named one of the top 13 haunted houses in America by Haunt World magazine, The Haunted Hotel is one of San Diego’s longest running haunted houses. 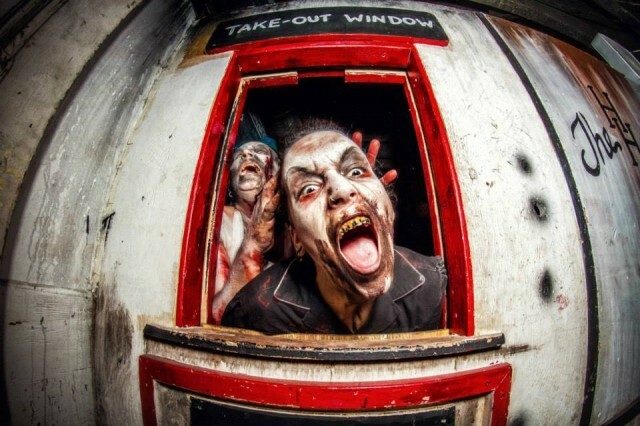 Do you you dare ride the Hellevator to who knows where, explore Freddy Krueger’s workshop, and visit rooms inspired by Legion and Shutter Island? Ride the moving Subway and meet the night riders, and try to escape the virus outbreak in the Zombie office. The heart-pounding effects are so real, you’ll be screaming for your life as you try to find the way out. If walking through haunted houses isn’t your thing, take a stroll through Balboa Park that you’ll never forget. The mile-long Haunted Trail has plenty of spine-tingling sights and sounds that will leave you trembling amongst the twisted grove of pines and gnarled oaks. In addition to the trail, you can make your way through “The eXperiment,” a maze that shows what can happen when Mother Nature takes her eye off the ball for even just a second. Note: Monster Manor is targeted towards for ages 13+. Step into one of America’s Most Haunted Houses and immediately feel a chill! See something out of the corner of your eye that you can’t explain? Hear the sound of a ball bouncing off the wall but don’t see it? 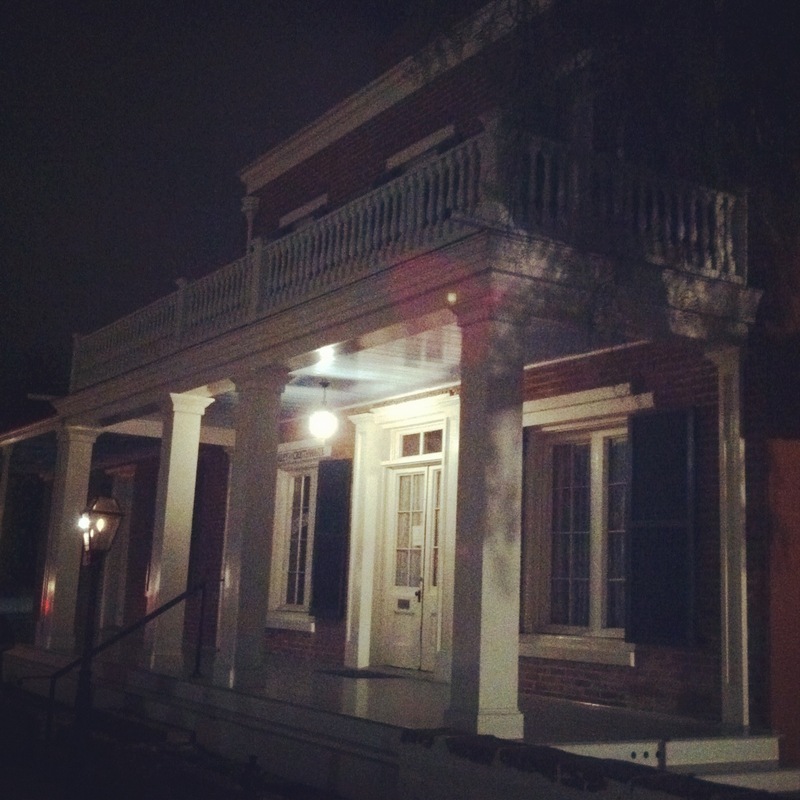 Throughout October, the Whaley House will be offering special tours, extended hours and the chance for you to have an actual paranormal encounter. Have a small goblin or ghoulish princess that wants to get into the Halloween spirit? Buckle them onto the broomstick and fly over to family friendly haunted houses at LEGOLAND’s Brick or-Treat-Trail or Belmont Park’s Boomont Manor. Are there any San Diego haunted houses that you will never return to out of fright? Warn us and others in the comments below! This entry was posted in Attractions and tagged downtown, Gaslamp Quarter, north county coastal, north county inland by Brent Bernasconi. Bookmark the permalink.